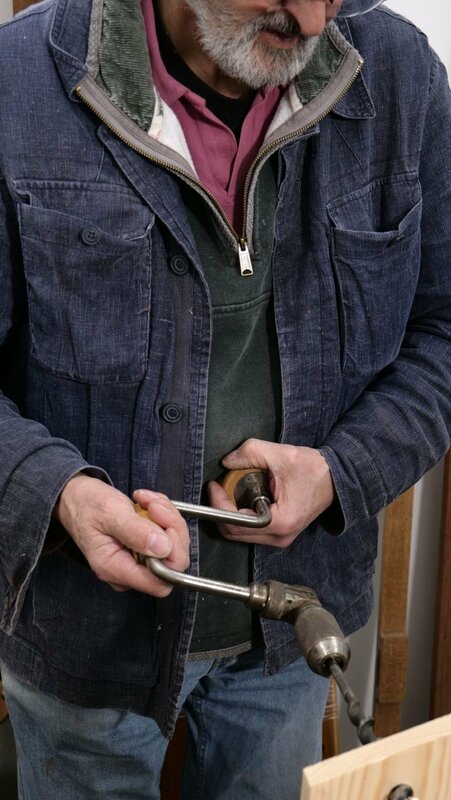 To use a brace, rotate the centre grip and combine hand and arm pressure to push the bit into the wood. The bit has a spiral point that assists to pull the bit into the wood with each rotation you make. The bit is held firmly within the chuck by two jaws. Turning the grip one way and holding the chuck to prevent it rotating opens or closes the jaws depending on the direction of the rotation. This maneuver opens the jaws to receive the square tapered end (tang) of the bit. When turned the opposite way it tightens around the bit. Make sure that the bit is centred inside the chuck as you rotate the grip to hold it straight. The bit can have one or two spurs, these are the actual cutting edges which cut the perimeter rim of the hole as the bit enters into the wood—the size of the hole, the diameter, is determined by this. If you have two spurs it does the job slightly quicker, however there isn’t too much difference compared to one spur. The spurs must be sharp to allow them to cut through the wood fibres, if they are not sharp enough, they will tear the wood fibres which will result in a fractured and chewed up hole. The centre handle needs a periodic light oiling along with the ball bearings within the pad, this should avoid it seizing up and make it easy to use. 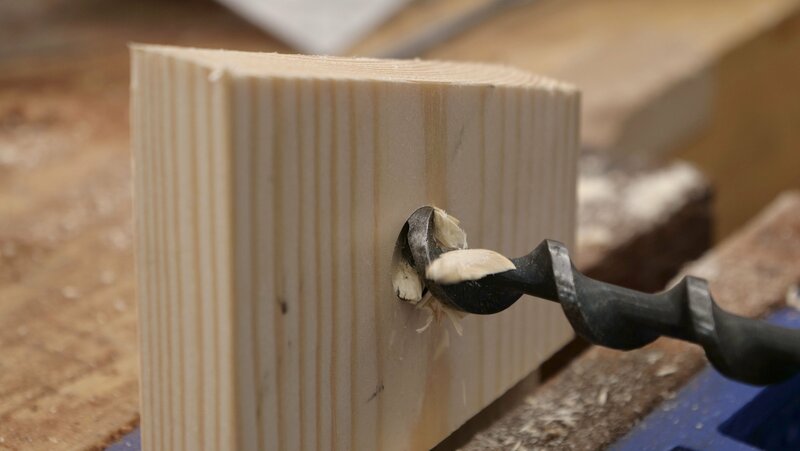 When boring a hole all the way through a piece of wood, bore through until the end of the spiral is just coming through the other side (picture), then turn the piece around and bore in from the other side, centring the bit where the point came through (picture). This prevents break out on the outer edges of the hole. 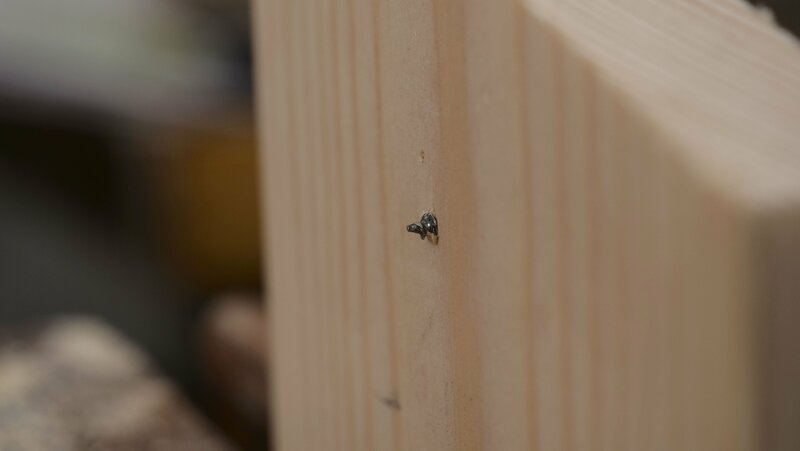 If you have a thin piece of wood or you are boring a hole near the end, drill a pilot hole to receive the bulk of the conical shape, this will help the bit feed in but also allow for the thread of the tip to still bite and pull itself into the wood. The sharp spur poking through the other side, this is the point you should turn the wood around and go in from the other side to stop splitting and tearing. 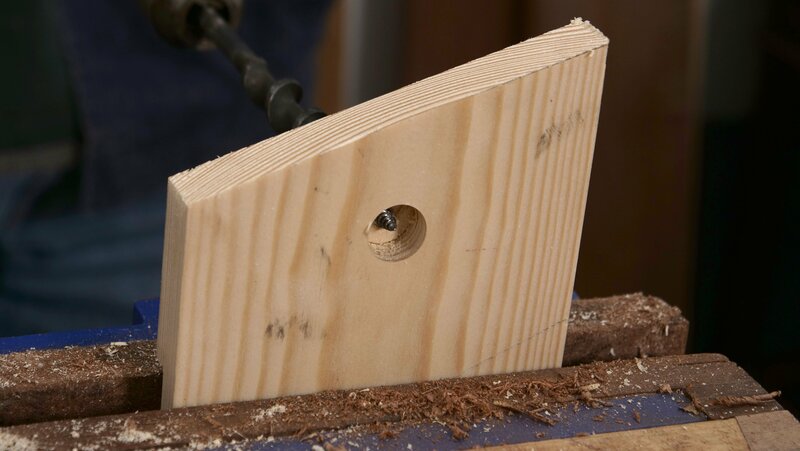 By not continuing to bore from one side, you will avoid splitting the wood when the bit is fully through.